The German military has secretly admitted that it can't fulfill its promises to NATO, according to documents leaked to Die Welt newspaper on Thursday. The Bundeswehr is due to take over leadership of NATO's multinational Very High Readiness Joint Task Force (VJTF) at the start of next year, but doesn't have enough tanks, the Defense Ministry document said. 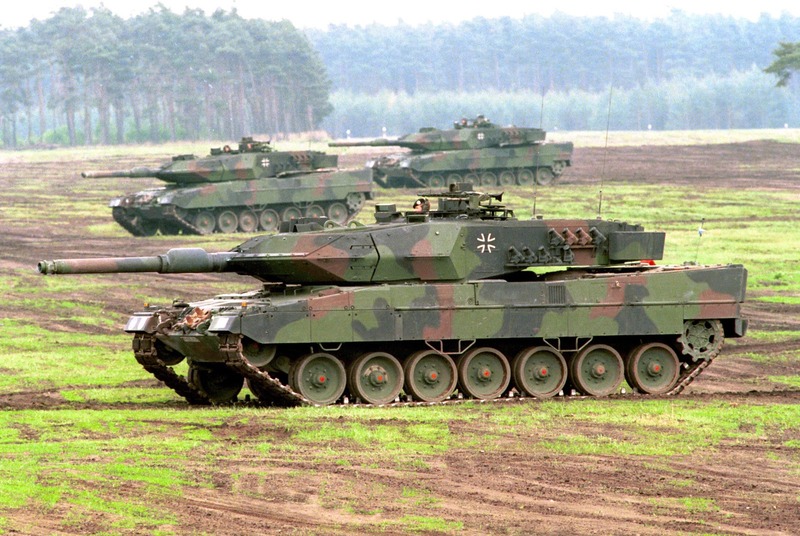 Specifically, the Bundeswehr's ninth tank brigade in Münster only has nine operational Leopard 2 tanks — even though it promised to have 44 ready for the VJTF — and only three of the promised 14 Marder armored infantry vehicles. The paper also revealed the reason for this shortfall: a lack of spare parts and the high cost and time needed to maintain the vehicles. It added that it was also lacking night-vision equipment, automatic grenade launchers, winter clothing and body armor. The German air force is also struggling to cover its NATO duties, the document revealed. The Luftwaffe's main forces, the Eurofighter and Tornado fighter jets and its CH-53 transport helicopters, are only available for use an average of four months a year — the rest of the time the aircraft are grounded for repairs and rearmament. "The state for all part-time forces are similarly worrying," Hans-Peter Bartels, parliamentary commissioner for the armed forces, told Die Welt. Opposition politicians blamed Defense Minister Ursula von der Leyen for allowing the military to deteriorate. I could gloat and state that this is another indication that the threat of Russia invading Western Europe is a complete fabrication based on the stance of the Germans but I'll ignore that for a moment. Instead I'll look at the current military makeup of the European countries and put this theory to my readers. France, Poland, Italy, Spain, the UK, the Netherlands and others are now jointly the caretakers of European defense (with a HUGE help from the United States). Germany has simply chosen to leave the field. Whether they decide to comeback is open to debate but I don't think so. I personally believe that their society has become so "hippified" that defending themselves is no longer considered important. The real solution is to simply tax member states that won't step up to participate in the common defense. Additionally the idea that a nation will have defense corporations yet not provide for its own defense is batshit crazy. I'd like to see other European countries further develop their in house companies so that the Germans have even less of a say in matters that they won't participate in.